Secure your place and purchase your tile(s) here and we will contact you to complete the order. Honor your Mother or Father, Grandparents or your Spouse. Show your pride in your Family or Business. 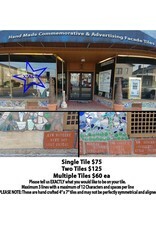 Promote your business or send a shout out and become a permanent part of Xenia's Art Center's building facade. 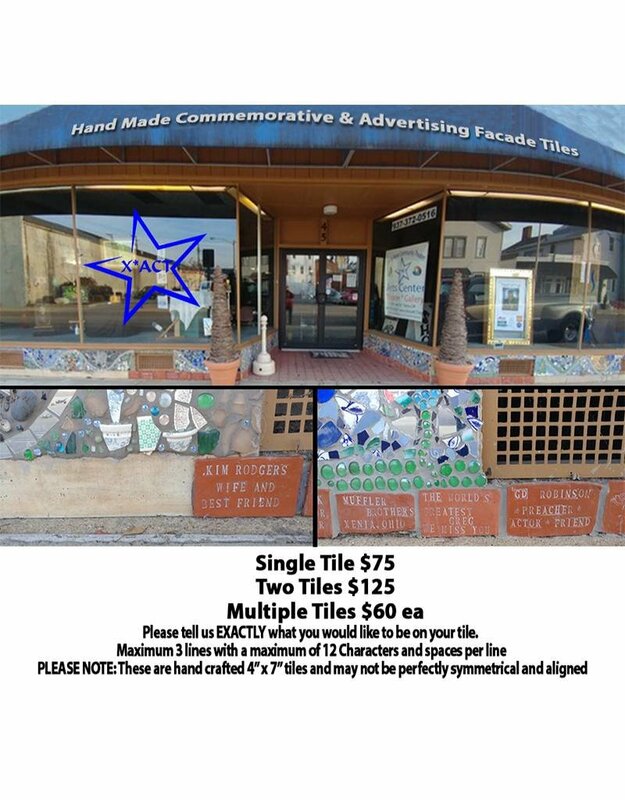 Each tile is a hand crafted commemorative or advertising tile that is placed onto the front of the building to show your support and at the same time honor someone you care about or to show your pride in our community.